This interactive installation within the framework of the Museo Mundial Project is in the form of a touchscreen containing 19 slides that visitors can easily access by touching and scrolling the screen. 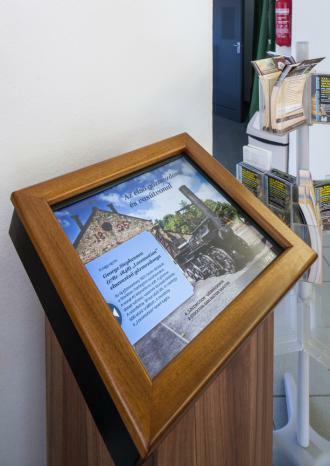 The slides in this installation are aimed at demonstrating the importance of railway transport and its economic and cultural contribution to society. In addition, the installation introduces the case of Mozambique where the civil war lasted for decades, completely ruining railway transport and thus isolating the country from international trade. This situation was resolved through the mutual effort of a number of countries and the European Union. 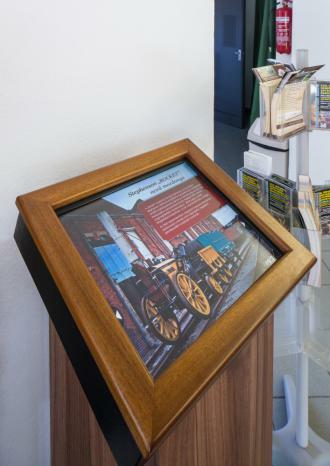 The installation provides a retrospective on the heyday of the railway. 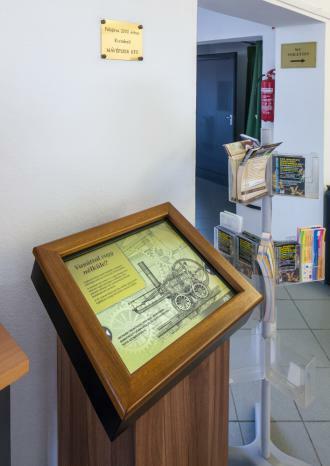 It also provides information at a glance on the significance of railway transport today. The railway plays an important role in long-distance freight transport, and public transport for workers and for children travelling to school. In a chart, we summarize the extraordinary development of the railway in the 19th century. In the second part of the installation, we draw visitors’ attention to the negative effects of railway transport coming to a complete halt by displaying an extreme example: Mozambique where civil war paralysed the railway network for twenty years. One of the most tragic legacies of 26 years of civil war, was the fact that the city of Beira was completely cut off from the railway network in the western part of the country. At the end of the installation, we show the visitor that Mozambique’s story has had a happy ending, since, as a result of reconstruction work, the country has rejoined world trade routes. The information on the interactive slide is directly linked to the Millennium Development Goals (MDG), especially to MDG1 ("Eradicate extreme poverty and hunger"), MDG 7 ("Ensure environmental sustainability") and MDG 8 ("Global partnership for development"). We wanted to find a topic for the installation that fits in with the museum. Among the Millennium Developmental Goals, the topics of eliminating poverty and global partnership have not yet been addressed through an installation. We collected data and facts about the history of railways through internet research and consulting the museum’s library. On the internet, we found out about the history of the railway in Beira, Mozambique. After deciding to produce a slide show, we wrote all the texts that we wanted to use and left space for the graphics. In order to find [a touchscreen system supplier with accompanying technical support], we asked for several quotes. Finally, we chose an external subcontractor to programme the software and ordered the [touchscreen system] afterwards. In conjunction with the graphic designer, we produced all the spectacular slides. To achieve this, we had to buy many pictures. It is important to factor this item into the budget. For programming the terminal, we used the help of an external programmer. He helped us to order the necessary software and programmed the terminal in a way that is easy to manage. The installation engages visitors' interests. They like the fact that they can turn the pages by themselves, so they can read the information at their own pace. The graphics look very nice on the screen. This kind of installation is a first for the museum, so initially it was a steep learning curve for all of us. Although we were not yet experienced in the field of computer programming, this challenge could be overcome with the help of the right professional and by us being clear on exactly what we wanted to achieve.